Three senior UN officials urge the world to redouble efforts to tackle climate change in a powerful rebuff of the scientific illiteracy of President Trump. 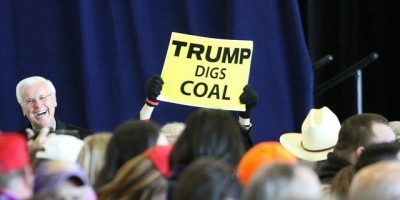 The hurricanes and wildfires that have severely damaged large areas of the United States in recent weeks have had no impact on US president Donald Trump’s determination to ignore the perils of climate change and support the coal industry. In a deliberate denial of mainstream science, the Trump administration has issued a strategic four-year plan for the US Environment Protection Agency that does not once mention “greenhouse gas emissions”, “carbon dioxide” or “climate change” in its 48 pages. However, President Trump’s repudiation in June of the 2015 Paris Agreement designed to combat global warming, and his refusal to acknowledge any connection between recent extreme weather events and climate change, seems to have made the world even more determined to tackle the issue. The acid test will be the progress that is made in November at the annual meeting of the parties for the Climate Change Conference in Bonn, Germany, hosted by Fiji, one of the small island states expected to be most affected by sea-level rise and more frequent storms. Ahead of the conference, three of the UN’s most senior climate change figures have issued a statement urging world leaders to see the recent spate of disasters as a “shocking sign of things to come”. In a joint statement, Achim Steiner, administrator of the United Nations Development Programme, Patricia Espinosa, executive secretary of the UN Framework Climate Change Convention and Robert Glasser, the UN secretary-general’s special representative for disaster risk reduction and head of the UN Office for Disaster Risk Reduction, said the events of the last few months were a reminder that climate change threatens more frequent and severe disasters such as those just witnessed. The three officials emphasise that there have been many more extreme weather events that have not received the publicity given to the hurricanes in the Caribbean and the United States. “The record floods across Bangladesh, India and Nepal have made life miserable for some 40 million people. More than 1,200 people have died and many people have lost their homes, crops have been destroyed, and many workplaces have been inundated. Meanwhile, in Africa, over the last 18 months 20 countries have declared drought emergencies, with major displacement taking place across the Horn of Africa. The three officials do not mention the Trump administration’s refusal to accept basic science, but describe the rising sea levels of 85 millimetres (3.34 inches) in the last 25 years and the potential catastrophic storm damage that coastal areas face as a result. They point out that the cost of adaptation to climate change will be far cheaper than the repair bill if no action is taken. “It is critical to remember that the long-term reduction of emissions is THE most important risk reduction tactic we have, and we must deliver on that ambition,” they write.